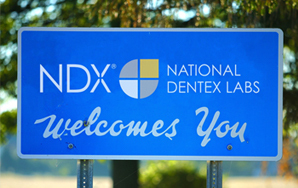 National Dentex and our lab have always been your partner with high quality dental restorations and attentive service. We are now able to help your practice take the next step in your business growth. Through the NDX Network and directly from our lab, we offer a variety of ways to help build the volume, efficiencies and increase the revenue of your chairtime. NDX provides cost saving alternatives for high volume practice or groups of Dentists. NDX is committed to a proactive approach to technological advances in the dental industry. Our labs are well versed and available to support clinicians with scans, designing, and fabrication of restorations for both model and model-free cases. In an industry preoccupied with time sensitive situations, digital scans can be sent directly to the lab for fabrication therefore reducing the time from impression to restoration. NDX has scanner programs available to place a digital scanner in the office or to provide an annual rebate to the office based on usage. Drive your business to a higher level of success with our business focused educational programs. NDX has an educational partnership with the Levin Group, Inc. and consistently provides opportunities for practice building seminars. Dr. Levin’s personal mission is to create success for every dentist and is committed to the continual improvement of the profession. Providing an objective shade guide reduces the subjective nature of shade selection, thereby reducing makeovers. Accurate shade selection is paramount to the success of restorative dentistry and patient satisfaction. Technical support is available for complex cases where shade selection may be more difficult. Digital shade taking increases the ability to shade match and consistently reproduce shade accuracy between the clinical setting and the laboratory. NDX laboratories have the ability to utilize digital shade guides to match and check shades for consistency and accuracy. Our NDX account executives also offer educational programs to enhance staff understanding of the shade selection process that provide 1 hour CE credit for both doctor and staff. 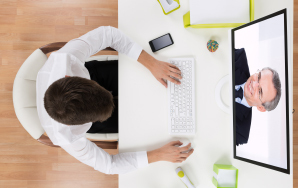 Leverage enhanced products to increase your chair ROI. NTI-tss Plus™ – There are a substantial number of existing patients that suffer the effects of Tension type and Migraine headaches. Utilizing NTI appliance therapy is a non-pharmaceutical option available to dental practices. nSequence® – NDX offers and provides support for cutting-edge surgical guides and digital preparation services. nSequence® combines a proprietary, 3D facially driven, digital workflow with patient-specific surgical guides, to deliver superior implant-supported restorations. When looking for competitive pricing and have longer turn around requirements, we have the solution. Cost is a concern for any business desiring growth and success. Evaluation of potential opportunities to minimize business expenses for the dental practice are important to achieve this success. In a time when most patients utilize a dental insurance policy that barely covers manufacturing costs of restorations, NDX has a solution. NDX New Solutions is able to offer competitive pricing and offer high quality dental restorations that meet and exceed industry and regulatory standards. Experience what it is like to receive your own dedicated trusted advisor for ongoing practice support. Local community labs, which are owned and operated by National Dentex Labs, are dedicated to build personal relationships, exceptional service, including drivers and on-site learning opportunities. Customers have access to a full spectrum of products all supported by a team of experienced technicians. If you have multiple practices or institutional requirements, our NDX DSO solution is for you. We offer the simplicity of working with one strategic partner to provide you with unique products & services for every aspect of your dental enterprise; from offshore to high-end aesthetics; local or national labs; driver pick-up service to mail order. NDX combines the power and flexibility of our nationwide network, with the service and responsiveness of our local laboratories. Our account executives are able to provide in-office education to dentists and staff to help realize the potential for increasing production utilizing these products and services. We are ready to help build your business with you. For more information contact your local account executive or call 1-800-678-4140.